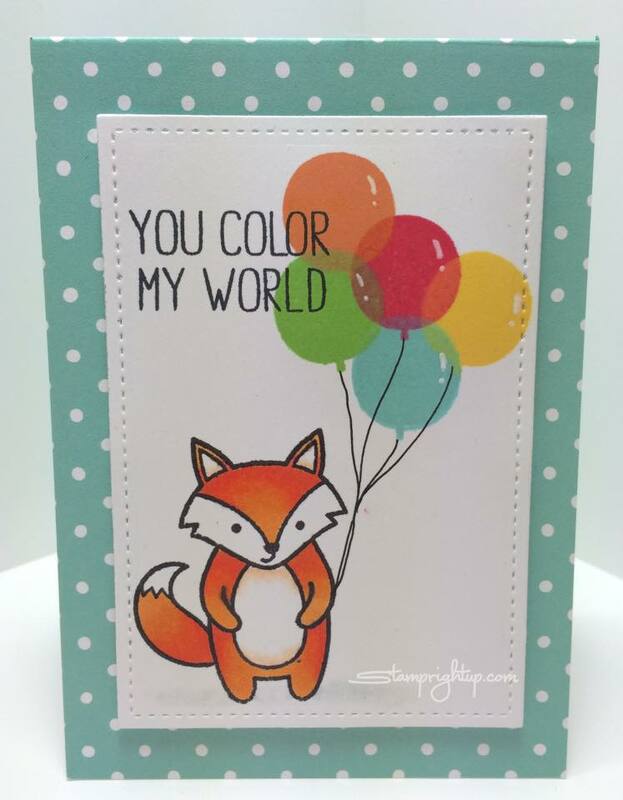 Lawn Fawn Ink Pads with Party Animals Fox Balloon Note Card | Stamp Right Up! I finally got a chance to try out my new Lawn Fawn ink pad haul!! I learned how to stamp using only Stampin Up inks, so I wasn’t sure how well I would do with them. They worked GREAT!! I cannot get over how beautifully the colors layered over each other!! I just love Lawn Fawn ink pads & they are great for both beginner and advanced stampers a like. If you are completely new to stamping, check out the introduction video on Lawn Fawn`s You Tube channel showing you how these ink pads work, and what to expect. For my card, I used Spectrum Noir markers to color the fox which was stamped in Memento tuxedo black ink. 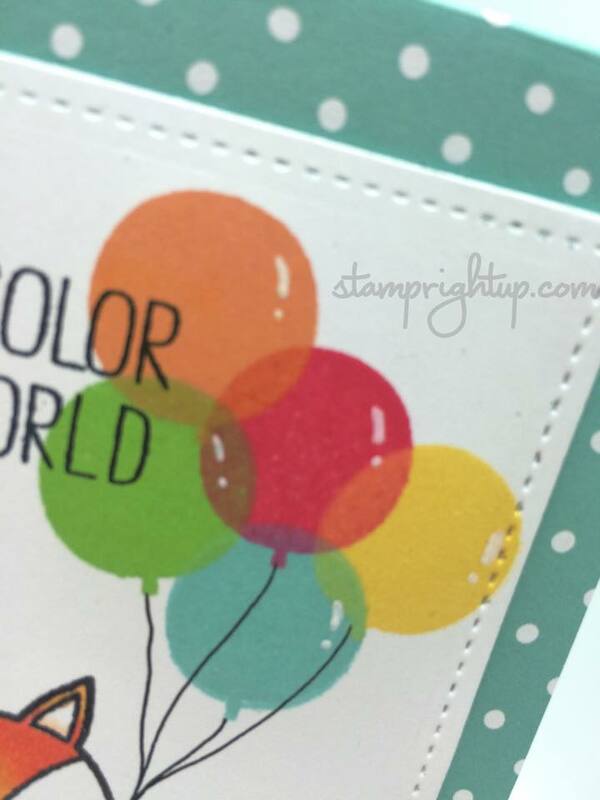 I stamped the red balloon first, then layered the rest over each other randomly – I love how it turned out! Using a white gel pen I added the little shine marks to the balloons for some extra pop. The spectrum noir marker colors I used for this was: OR 1 – 3 for the fox, FS9 for the belly & ear accent shading, IG1 for the shadow effect under the fox.